This article will be focusing on a neat feature that you can incorporate into your WordPress site without needing to go and install another full plugin on your page which will only bog down your load times and everything in the long run (although installing a plugin to do this is certainly possible). This feature is called Prism and it is a syntax highlighter which will prettify all of the code snippets you put in your blog posts. 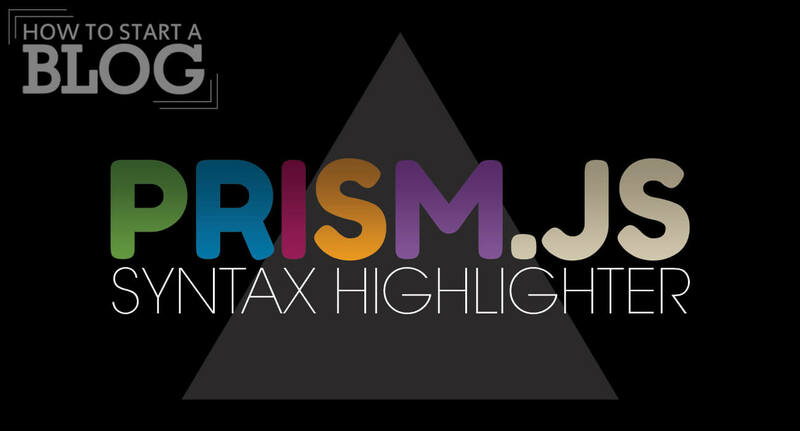 Prism is a lightweight, extensible syntax highlighter, built with modern web standards in mind. Not sure what I mean by a syntax highlighter or what it does? Here’s an example. Here, you will see a whole bunch of options that you can choose to customize how your code will look with Prism. For the first section that says "Compression level:", choose "Minified version". This will shorten the amount of text used in the background code, therefore allowing it to run quicker on your site. Next, you will choose the Theme that you want to use. This site uses the "Default" theme, but feel free to choose whatever theme you think will look best with your site. 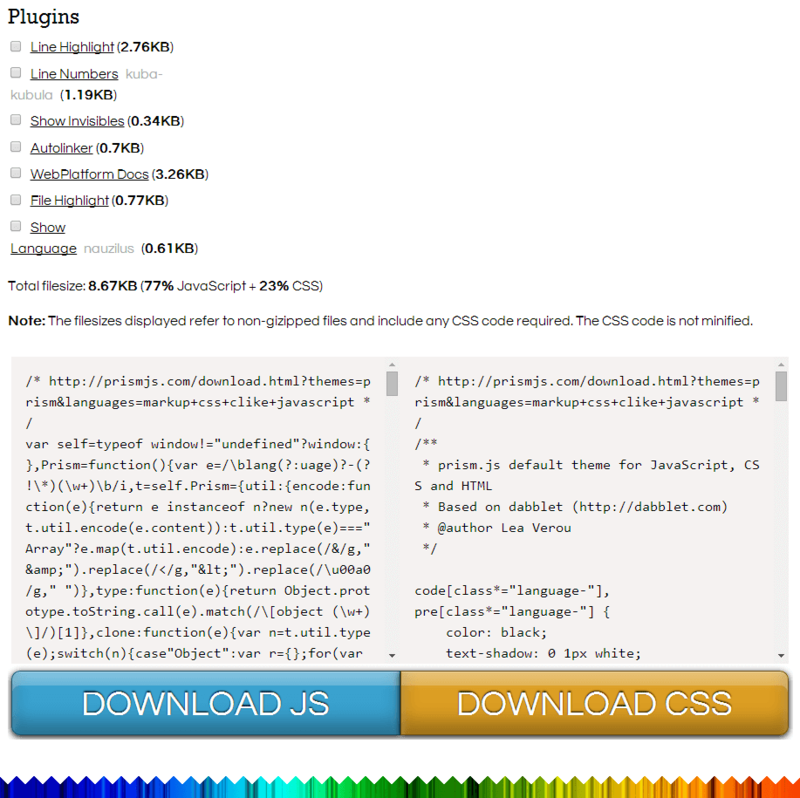 As you click on the various themes, you'll notice that the code blocks above the "Download JS" and "Download CSS" buttons will change to give you an idea of how the theme will look. As far as plugins go, you can read about those yourself by clicking on the links in the "Plugins" section. The plugins give a little extra functionality if desired such as having line numbers show up in your code blocks. I don't use any extra plugins. After those two files are saved, you are ready to upload these files to the back end of your site. You will not be using WordPress for this part. You will be logging onto the back end which will be your main host site (whether that be HostGator, BlueHost, or whatever hosting company you're using). Once you click on "File Manager", it may ask you which directory you want to go to. Choose "Web Root (public_html/www)" and click "Go". Now, path out to your theme's folder. If you use a child theme (which you should be), path out to that theme's directory. Or, if you're just using a parent theme, go there. These folders should be found out in wp-content/themes/<your theme name>. For example, I use the "Responsive" theme, so my parent theme's folder is located at wp-content/themes/responsive and my child theme's folder is located at wp-content/themes/responsive-childtheme-master. Once in the appropriate folder, you might see some files already out there such as "style.css", "functions.php", etc. This is where you will be uploading your prism.css and prism.js files. Whatever you decide to do, just be consistent. Either upload the files right within your theme's folder, or create the "js" and "css" folders mentioned. Now, it is time to upload your files. Hit the "Upload" button as shown in the screenshot above. An upload page should open up. Browse out to your prism.css file that you have stored on your computer (either in the C:\Prism folder if you made it or wherever else you put it), and choose that file. If the upload page has a section for "Permissions" just check all three boxes under user (that's you) and then just the first "Read" box for both "Group" and "World". Find out more about cPanel permissions here. Now, do the same for your prism.js file. Once that is complete, if you go back to where you directory was showing, you should see both the "prism.css" and "prism.js" files sitting in your theme's folder now. Or, you would see them in your "css" and "js" folders if you created those. Your Prism files are now uploaded to the back end of your site. Great! All we have left to do is to make sure they get loaded up in our site whenever a page of our site comes up in a browser. This will require some more work on the back end where we were just working. Remember the folder we were just in? wp-content/themes/<your theme name>? We will be working in there again. However, this is why I said YOU SHOULD BE USING A CHILD THEME because we will be working with the child theme's functions.php file. You should NEVER modify the parent theme's functions.php file because it can mess up how your site works, and, after your theme updates, you will probably lose any work you did in your parent theme's functions.php file. Okay, now that I've made that clear, find the "functions.php" file in this directory: wp-content/themes/<your CHILD theme folder>. Right click this file and choose "Edit". After you do that, a box may appear saying that you should back up your file in case anything goes wrong. Feel free to back up the contents of the file somewhere if you feel like you'll be messing things up. However, chances are you haven't even added anything to your child theme's functions.php file yet which means there would be nothing to back up. Anyway, click "Edit" on that popup box. A rather ugly text editor page should show up in your browser. If you have been in this file already, there may be text you've already written (or maybe the theme's creator added some comments in there). Otherwise, it will be blank. Here, you will be writing the code to have your prism files load up whenever someone opens a page on your site. In order to do this, we will write a simple PHP function right in our "functions.php" file. I have the whole function written out below. You can just copy and paste that in your functions.php file and hit "Save Changes", but I will explain what it's doing below. 'prismCSS', // handle name for the style so we can register, de-register, etc. 'prismJS', // handle name for the script so we can register, de-register, etc. WordPress has its own set of custom PHP functions that anyone can use to help do certain things. For example, the function written above uses a few different functions such as "wp_register_style", "wp_register_script", "wp_enqueue_style", and "wp_enqueue_script". As you can imagine, they register or enqueue a style or script which is what I said we had to do earlier in order to get them to load up on our site. Within the "wp_register_style" and the "wp_register_script" functions, the first thing we're defining is a handle name which is basically just like an ID that we are assigning that file so that when we go to enqueue it later we can just use that handle name to make things much easier. The second line is where the file is located. There is something worth mentioning here... assuming that you uploaded your prism.css and prism.js files in your child theme's directory like I said you should do, then using get_stylesheet_directory_uri() will work because this returns back the location of your child theme's folder. However, if you uploaded your files in your parent theme's directory, then you should use get_template_directory_uri() instead. This points to your parent theme's directory. Make sense? One other thing to note... notice that when I was defining the location of my files I just said get_stylesheet_directory_uri() . '/prism.css' and get_stylesheet_directory_uri() . '/prism.js'. If you created your own "js" and "css" folders earlier, then make sure you point to those folders instead otherwise your path will be wrong. So, instead, you would put in get_stylesheet_directory_uri() . '/css/prism.css' in your "wp_register_style" function and get_stylesheet_directory_uri() . '/js/prism.js' in your "wp_register_script" function. **Note: The difference between the functions ending in _style and _script is that you use _style for CSS files and _script for JS files. After you save your changes, you should be ready to rock n' roll! The last part is actually using the syntax highlighter within one of your posts or pages. This part is simple. Say you are writing a new post on your WordPress page, simply just use the "Text" tab (if you aren't already). There is a "Visual" tab and a "Text" tab that you can choose from while writing a post. The "Text" tab allows the writer to include their own HTML and other stuff. Don't know HTML at all? Read about How To Make Your First Basic Webpage Using HTML. Got it? One last example. In order to get the code block that I wrote in the very beginning of this post, this is the full code you would have to write in your blog post in order to have it be highlighted with Prism. That's it! You now have the power of using Prism syntax highlighting on your code blocks if ever you plan to write code blocks within your blog posts or pages. P.S. Do you have Google Analytics installed on your WordPress site? If not, you're missing out on some extremely valuable free data/statistics. Check out my post on How to Add Google Analytics Tracking Code to Your WordPress Site Without a Plugin which uses a very similar method to plugin to your site as Prism JS does. What do you think of Prism? If you got it to work OR if you are having troubles, let me know in the comments! Thanks for the great HOW TO! Very informative and detailed. I noticed your ul>li list. Very cool effect! Would love to now how to do that? Thank you so much! It helps a lot. Thanks for this, exactly what i was looking to add to my own site. 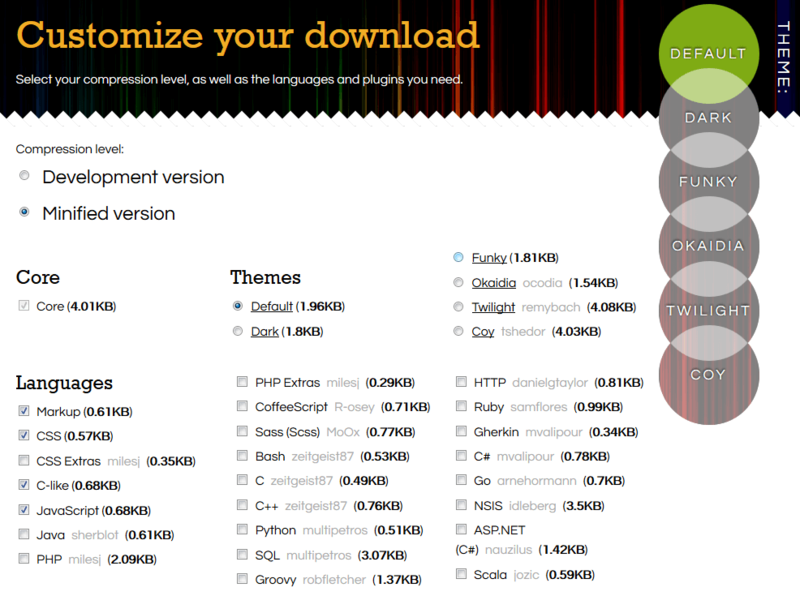 So many WordPress syntax highlighters are over bloated with options and end up slowing down a site. I agree, it’s nice that PrismJS is super lightweight and won’t bog down your site. Thanks for the comment! Thanks this guide helped me a lot. Pingback: Wordpress prismjs – It's Me, Tommy! Thanks, my first attempt on BlueHost using a plugin just would not highlight anything. I went through the steps in your post, and it worked on the First try. Thanks for that great post, very useful and detailled. In case that could be useful for someone, I had first some issues because I forgot to disable a plugin (CodeAutoEscape) that was systematically removing the code class. My fault ! Thanks again, I like the prism.js output, very clean and beautiful. whatever method i do to highlight the code, WordPress won’t accept long code, about 300 line. when i hit publish, after the page have been load I only see about 30 line :(. Can you please help me about this issue?? Hello there! Hmm, I have not heard of that problem before. Could you send me a link to a post that you are referring to? You could email me at TheCrambler@gmail.com if you would like! @TheCrambler, nice job with the article and explanation. I followed it to a ‘T’, however it doesn’t work. It’s probably my theme (I’m using a child-theme) that it’s somehow overwriting the styles. When I install any syntax highlighter plugin, it works. But when doing it manually, by upping the prism.css and prism.js to my child theme folder, and registering them via functions.php, doesn’t work. I’d prefer not installing yet another plugin, when this manual way is relatively straightforward. But unfortunately it’s not working. How could I get this to work, or somehow not get my theme css in the way (if that is the culprit)? Or maybe do this: just keep my comment where I say good article and explanation and you can delete the rest of the comment. Thanks again. Hey Daniel! Glad to hear you got it to work. I was going to get in contact with you and see if I could help you, but looks like you figured it out! Enjoy. No problem at all! Thank you for such a wonderful post. I was finally able to integrate my favorite code highlighter to my WordPress site. It looks amazing. Hi Atta! Very happy to hear you integrated your favorite code highlighter into your WP site 🙂 Enjoy! Thank you very much for sharing your knowledge in this post, I’ve been looking for a couple of days for a plugin and at the end I’ve solved it with prism and your explanation. Hi Rafael! I’m really glad that you were able to use my solution successfully. Thanks for letting me know! Still up to date info, top notch, works 100%, thank you! Happy to hear it’s still working great for people! Now that’s what I call a very thorough answer, thanks so much for writing it! Thanks for the comment, Gwyneth! You are very welcome 🙂 Glad it could be of help! Thank you for the tutorial. I am going to aply it on my website. Hi Alex, you’re welcome! Hope it goes well. Hi Khawer! I am glad to hear it worked like a charm for you. I appreciate the kind comment!